Rock legend Mick Jagger has released a new track called “England Lost” that reflects the soul-searching in Britain since the Brexit vote in what he said was “a difficult moment in our history”. The song released on Thursday, a collaboration with grime artist Skepta, starts out as a reflection on seeing England’s beleaguered football team lose. “But when I wrote the title I knew it would be about more than just that. It’s about a feeling that we are in a difficult moment in our history,” the Rolling Stones frontman, who turned 74 on Wednesday, said in an interview for Apple Music. “It’s about the unknowability about where you are and the feeling of insecurity. That’s how I was feeling when I was writing,” Jagger said. “I went to find England, but England’s lost,” he sings in the blues-inspired track. “I went to find England, it wasn’t there/ I think I lost it in the back of my chair,” goes the song, with a music video showing a smartly-dressed man being held back as he tries to run into the sea. The Brexit referendum last year divided the country after a bitter campaign in which hardline rhetoric against immigration featured prominently. 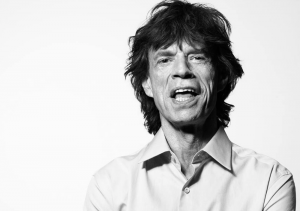 Jagger told Sky News in an interview in April 2016 ahead of the vote that: “I don’t think to me personally it’s going to make a huge difference”. Jagger also on Thursday released a second solo track entitled “Gotta Get a Grip”, a dance tune, that he said was more inspired by the United States and is being seen as a comment on US President Donald Trump. “The world is upside down/ Everybody lunatics and clowns/ No one speaks the truth/ And madhouse runs the town,” Jagger sings. “Immigrants are pouring in/ Refugees under your skin/ Keep ’em under, keep ’em out/ Intellectual, shut your mouth/ Beat ’em with a stick,” he sings. “The message I suppose is despite all those things that are happening, you’ve got to get on with your own life, be yourself and attempt to create your own destiny,” Jagger said.